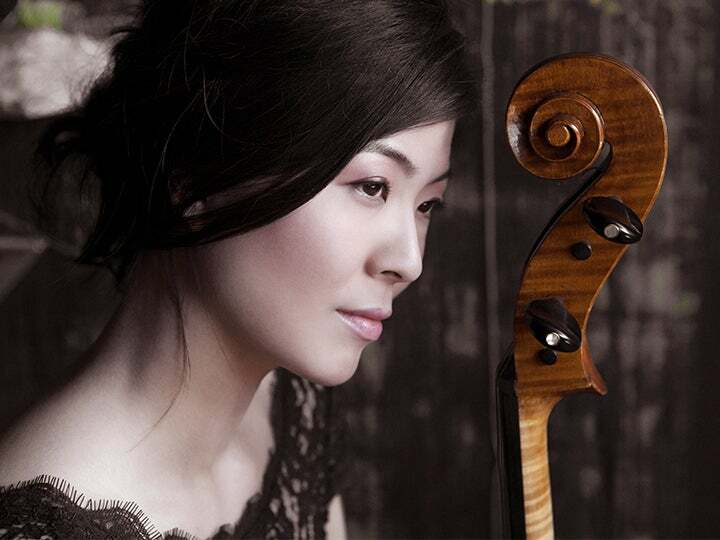 Winner of the Philadelphia Orchestra Greenfield Competition, Korean-born cellist NA-YOUNG BAEK made her American debut with the Philadelphia Orchestra in 2000. She has appeared as soloist with the Hudson Valley Philharmonic, DuPage Symphony Orchestra, Seoul Philharmonic and Korean Chamber Ensemble at major venues, such as the Academy House in Philadelphia and the Rheingau Musik Festival in Frankfurt, Germany. Recent highlights include performances of Dvořák’s Cello Concerto with the Ulsan Symphony Orchestra, Wonju Philharmonic Orchestra and Greenwich Village Orchestra in New York City and Beethoven’s Triple Concerto with the Macau-Hong Kong-Taipei Symphony Orchestra for its New Year’s Concert in Macau, China. At the age of 15, Baek became the youngest winner in the history of the prestigious Choong Ang Times competition in Korea and also garnered the Virtuoso Prize at the first Tchaikovsky Competition for Young Musicians in Moscow, Russia. Baek was a prizewinner in the Gyeongnam International Competition (in memory of Isang Yun) and won first prize in Hudson Valley Philharmonic Competition and Holland-America Music Society Competition. Her recital appearances have included a New York-debut recital at Weill Hall at Carnegie Hall, presented by the Korea Music Society, and the Dame Myra Hess Concert Series in Chicago. An avid chamber musician, Baek has participated in and performed at the Marlboro Music Festival, Great Lakes Chamber Music Festival, Casals Festival in Prades, Aspen Music Festival and Isaac Stern Seminar in Israel. She has been featured at Carnegie Hall, the Kennedy Center, Salle Gaveau in Paris and Cadogan Hall in London, and on NPR’s “Performance Today.” She has toured twice with Musicians From Marlboro, playing the Mendelssohn Octet and Janáček Quartet. Baek studied with Orlando Cole at the Curtis Institute of Music in Philadelphia. She continued her studies at Yale University for her master’s degree and at The Juilliard School for her Artist Diploma with Aldo Parisot, who awarded her the Aldo Parisot Prize at the end of her studies. She completed her Doctor of Musical Arts degree at Stony Brook University, where she studied and performed with Colin Carr. Baek served as an adjunct faculty member at Kean University and is a member of the Sejong Soloists and East Coast Chamber Orchestra. She performs on the Matteo Goffriller cello, Venice, ca. 1715, on a generous loan by Samsung Music Foundation through the Strad Society.